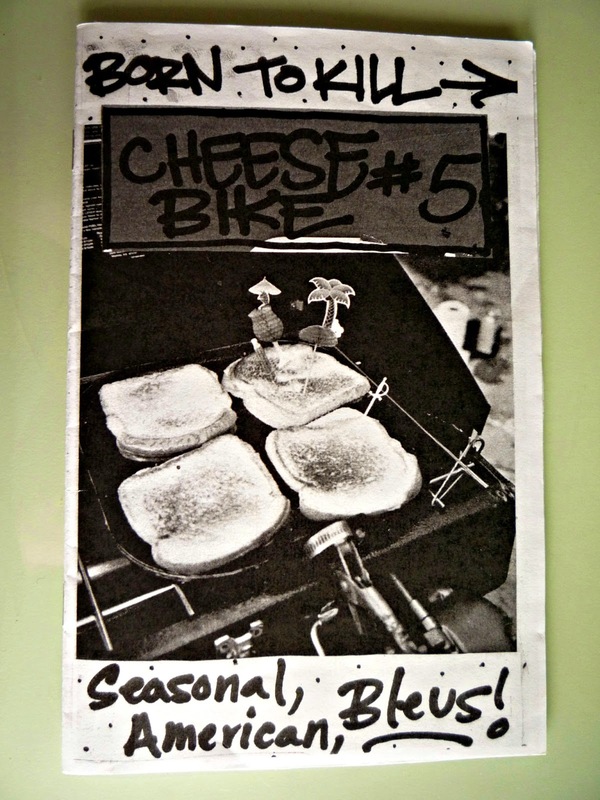 This zine is visually pleasing - with a flip out page and a full color photo that describes a summer of making and selling grilled cheese off the back of a small gas scooter. The biggest negative for this zine is the odd writing voice which makes it difficult to determine exactly what is happening. This zine is fun and inspirational but not informational. I like the spreadsheet of sales and the cost of the materials.